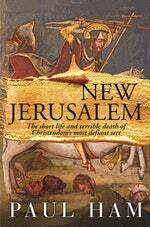 New Jerusalem author Paul Ham outlines the short life and terrible death of Christendom's most defiant sect. Martin Luther, a priest and professor of moral theology at Wittenberg University, launched the Reformation in 1517 with the publication of his ‘95 Theses’, which denounced the Catholic practise of selling ‘pardons’ or ‘indulgences’: certificates that purported to absolve the confessor of sin. In doing so, he attacked the Catholic Church where it hurt: in the wallet. In Luther’s eyes, one could not ‘buy’ redemption any more than one could buy happiness. Indulgences were no more than a tax on the poor – levied in Luther’s time to pay for the construction of St Peter’s in Rome and the wars with the Turks – dressed up as a free ticket to paradise. Denouncing the Pope as the Antichrist, and the Catholic Church as a monstrous parasite, Luther urged sinners to ignore Rome and repent in their souls. A priest’s ‘certificate’ of repentance he regarded as useless. That simple, personal idea of the meaning of repentance ushered in a complete re-appraisal of the purpose of faith and one’s relationship with God. For the first time, people felt a direct kinship with the Lord. Luther’s message would break the power Rome had enjoyed over Christendom for 1500 years. His legacy resonates powerfully today. 1. 2017-18 marked the 500th anniversary of the start of the Reformation, but until now, everyone has focused on Martin Luther and the mainstream Protestant movement. Yet the upheaval that split the Catholic Church spawned hundreds of radical religious sects that had a huge impact on the evolution of Christianity. The ‘Melchiorites’ who seized Münster in 1534 were a branch of Anabaptism on the extreme fringe of the Protestant movement. Their brutal persecution led to the near-extinction of Anabaptism in Europe. But their struggle to survive in exile inspired the emergence of the Quakers, the Amish and America’s Southern Baptists. 2. The Reformation led to the translation of the Bible in the local tongue for the first time, opening the eyes of millions of people to Christ’s message of compassion, repentance and charity, previously shrouded in Catholic sophistry. Why should priests, monks and friars determine our relationship with Christ, millions of people wondered, spellbound by the Lord’s message in the Sermon on the Mount. 3. The Munster Anabaptists were, in some ways, a kind of Christian ISIS who created their own violent theocracy, enforced polygamy (women outnumbered men in the city by about three to one), and condemned everyone who refused to join them as godless heretics – especially the Pope and the Catholic Church. They aimed to construct a theocracy based on a highly selective, literal reading of the Bible, just as militant Islamists in our day choose a literal reading of the Koran to defend terror. Yet unlike the Islamic extremists of the 21st century, the 16th century Anabaptists did not seek the destruction of those who did not share their faith. Most of them were people of humble means who simply wanted to celebrate their love of Christ in peace. 4. In the early 1500s, it was commonplace to believe that the end of the world was nigh. Luther himself believed Judgement Day imminent. The Reformation intensified this sense of the coming of the End Times. The Anabaptists took this much further – when the Apocalypse arrived, they believed they would be the first to ascend to Christ’s kingdom. In their eyes they were His Elect, His Chosen people. 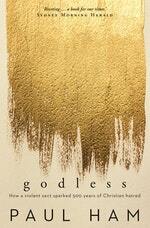 Millennial cults in our time feel similarly ‘chosen’ by their spiritual guru, only to find their dreams crushed. 5. In two respects, the Anabaptists were amazingly ‘modern’: they banned private property, forcing everyone to hand over their money and belongings to a ‘communist’ pool, predating the socialist ‘paradise’ by 400 years. And they defied 1500 years of Catholic teaching by enforcing adult baptism. One should choose to enter Christ’s kingdom, they taught, by consciously electing to be baptised. An infant, they argued, could not ‘choose’ baptism, but was forced to do so by Catholic tradition, which they damned as the ‘harvesting’ of the souls of babies. The spirit of adult baptism continues today, in the rite of being ‘born-again’ into evangelical and Baptist faiths. 6. The legacy of the Reformation is all around us today: in the history of violence between Protestant and Catholic; in the meaning of the Eucharist and the definition of Original sin; right down to details like the use of the term ‘temple’ to describe protestant churches in France. The hatred it unleashed between 1517 and 1648 led to the extermination of millions of people – between 30 and 40 per cent of the German-speaking population perished in the religious wars. The century of destruction that followed Luther’s act of defiance finds a terrifying echo in the return of religious war in our time, be they neo-crusades or terrorist strikes, fought in the name of a god or faith.